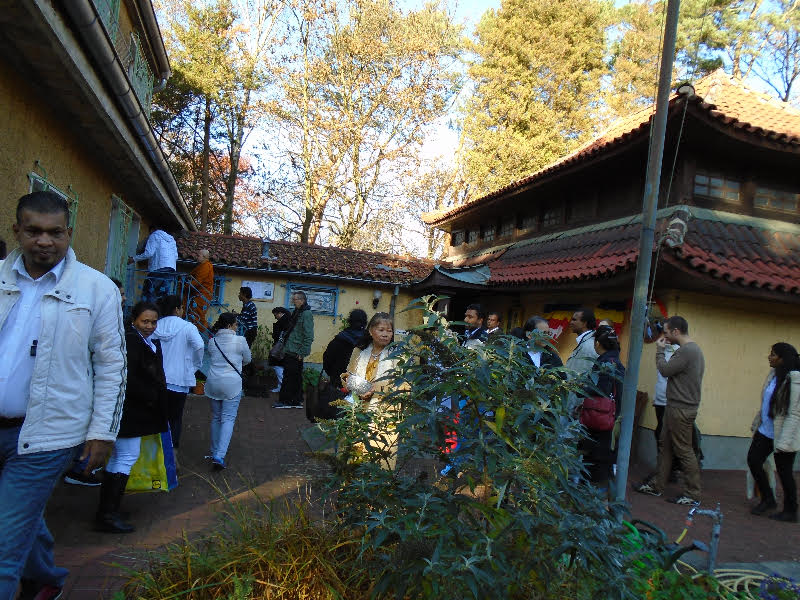 Berlin, Germany – The Kathina programe signifying the end of the Vassa period was conducted at Das Buddhistische Haus (Berlin Vihara) between November 7 -8, 2015. 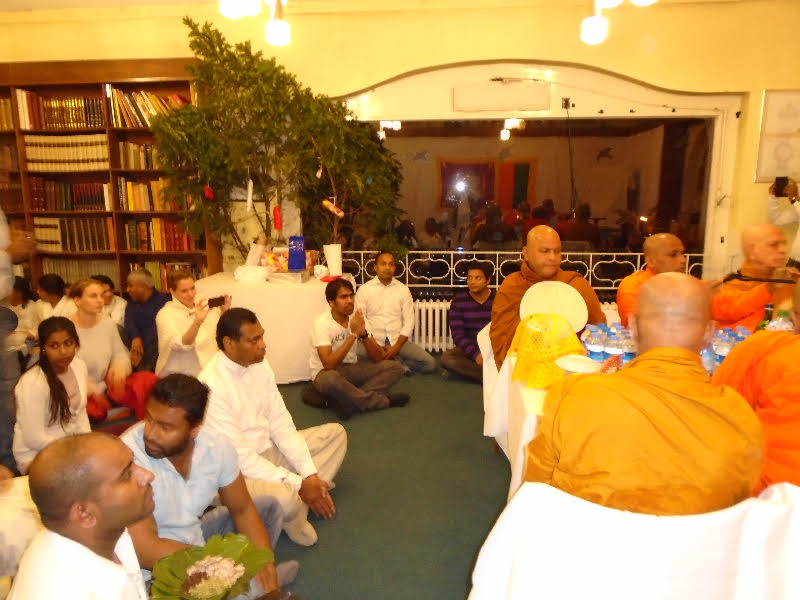 During the preceding Vassa period special Dhamma activities including Dhamma discussions, lectures, meditation classes and retreats were conducted at the Berlin Vihara. The participants at this year’s Kathina Pinkama included a large number of Sri Lankans ( Sinhalese), Germans and other nationalities such as Thai and Cambodians. On Saturday (Nov. 7) evening the customary seth pirith was chanted, and on the following day Sunday (Nov. 8) the programme comprised a Buddha Puja, Sangha Dana and Kathina Chivara Puja. The Mahanayaka of the Amarapura Sri Dharmarakshitha Nikaya Most Ven. Thirikunamale Ananda Thera was a distinguished presence at this year’s Katina ceremony. Among the visitors were the Ambassador from Sri Lanka in Germany His Excellency Karunatilaka Amunugama. Altogether seven Buddhist Monks participated in the event. They were – Most Ven. Thirikunamale Ananda Mahanayake Thera, Ven. Dickwelle Seelasumana Thera( Berlin Vihara resident monk), Ven. Kongaspitiye Santharakkhltha Thera, M.A., Das Buddhistische Haus (Berlin Vihara), Ven. Dickwelle Dhammavilasa Thera, Ven. Karathota Pannaseela Thera, Ven. Panadura Sarananda Thera, and Bhante Anusak from Thailand. 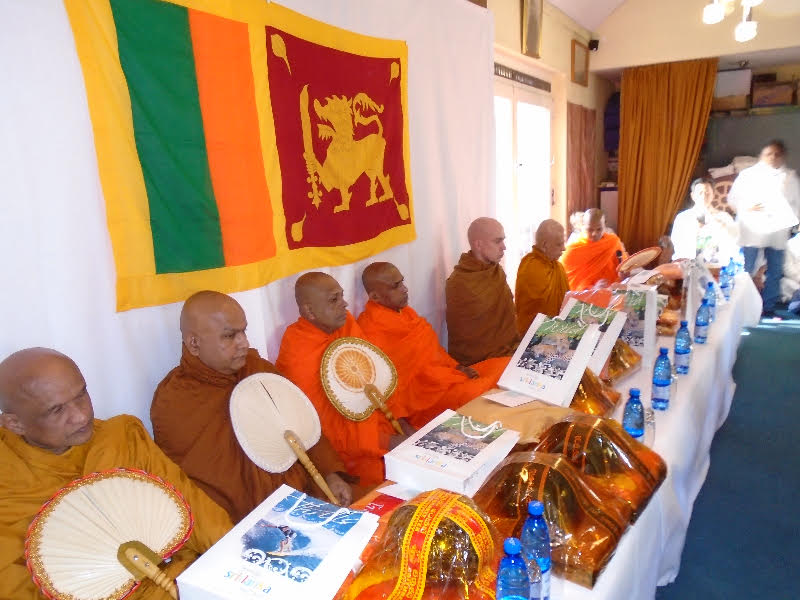 Mr. Tissa Weeraratna based at the Berlin Vihara co-ordinated the event with the assistance of the two resident monks Ven. Dickwelle Seelasumana Thera and Ven. Kongaspitiye Santharakkhltha Thera. The Berlin Vihara also known as ‘Das Buddhistische Haus’ was founded in 1924 by Dr. Paul Dahlke, German Philosopher and a pioneer of Buddhism in Germany. The German Dharmaduta Society founded by Asoka Weeraratna in 1952, purchased the premises from the heirs of Dr. Dahlke in 1957 and converted it into a Buddhist Vihara stationing resident Buddhist monks on a long term footing. It is the oldest Theravada Buddhist Temple in Continental Europe.